Applications installed on your Mac can secretly use your web camera for malicious purposes. 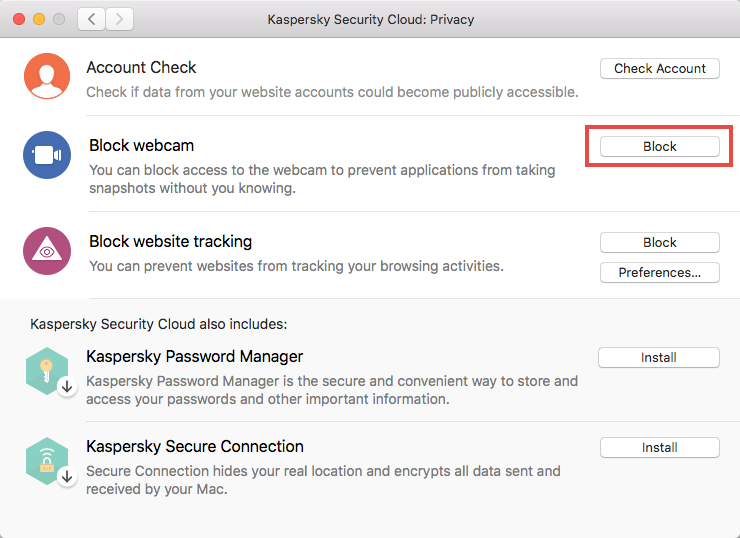 With Kaspersky Security Cloud for Mac, you can block unauthorized access to your web camera for applications. The access will be blocked for all installed applications. It is not possible to block webcam access for specific applications. 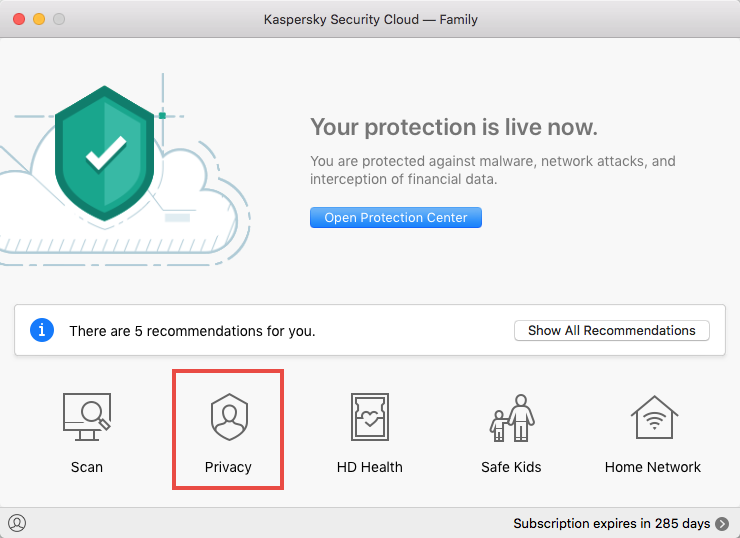 In the main window of Kaspersky Security Cloud 19 for Mac, click Privacy. In the Block webcam line, click Block. Restart running applications or restart your Mac. Access to the web camera has been blocked for applications. We cannot guarantee the support of other web cameras. This list is given as an example, and the functionality of Webcam protection is not limited to it.